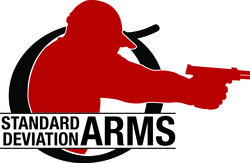 The unique wedge shape fits IPDA, USPSA and IPSC boxes (you should always check your pistol in the appropriate box as guns vary dimensionally). There are deep finger grooves on the sides to assist in rapid mag removal if needed. We offer basepads for most popular 1911 magazines and all are CNC machined from aircraft aluminum to Dawson Precision tolerances for a perfect fit and lasting durability. With the 1911 single stack making a strong comeback it made sense for Dave Dawson to make a basepad that increased the consistency of a fast, smooth, positive seating reload that accommodates not only the bigger, deeper magwells on the market, like the DP 1911 Ice Magwell, but all other types such as the Smith and Alexander Magwell.